"Therefore, go and make disciples of all nations, baptizing them in the name of the Father and the Son and the Holy Spirit. Teach these new disciples to obey all the commandments I have given you"
Celestial Enterprises Unlimited, Inc. believes that it is God's "great command" that we should go into all the world and spread the "good news" of Jesus Christ to all mankind. For this reason, missions are an integral part of the organization's outreach ministry efforts, especially to Africa, the Dominican Republic and Haiti. 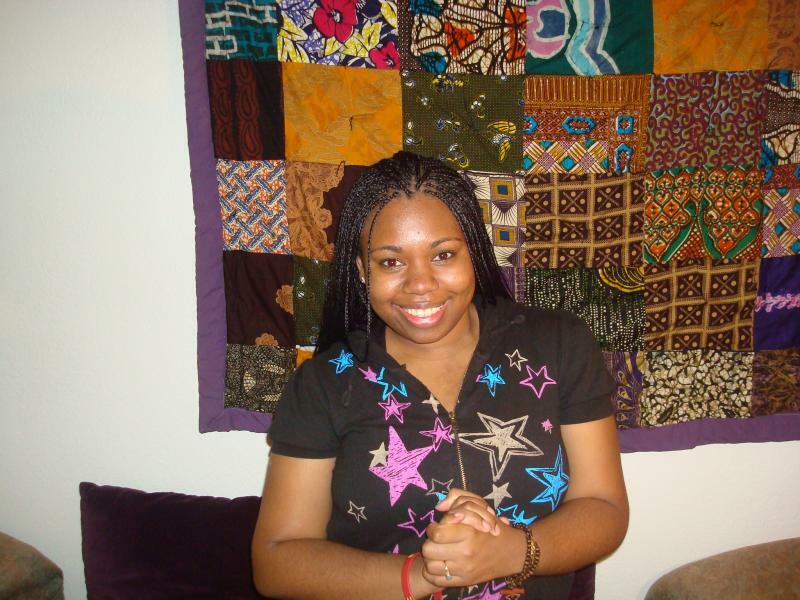 Our first mission project originated during a trip that Mariah Landrum Childs, CEO of Celestial Enterprises Unlimited, Inc., along with her 13 year old daughter, Rebecca, made to Accra in Ghana, West Africa in July, 1999. While there, Ms. Childs partnered with a business associate and native Ghananian, Mr. Kwabena Osei Bonsu, and together they formed and incoroporated on behalf of Celestial Enterprises a Non-governmental Organizatin (NGO). It was called the Celestial Needy Children's Program. Its primary focus was to develop Educational and Vocational skill-building for youth and young adult women. The goal of the Celestial Needy Children's Project was to provide disadvantaged children with increased opportunities for developing more prosperous and successful lives through educational and social out-reach programs. Initially, the focus was on helping the youth to acquire basic education by providing them with school clothes (uniforms), learning and facilities, etc. Another objective of the organization was to help empower teenage mothers and young women through skill training to be able to provide for their children and have more prosperous and successful lives. For five years, the organization trained young women from Madina, a town outside of Accra in Ghana in the art of quilting. They made beautiful quilts that were sold to tourists in Ghana and exported to the United States through the Celestial Stitches Heritage Quilting Project. See Stitches page. The quality and workmanship of the African batik patchwork quilts, bags and other quilted items were outstanding. And the Lord blessed the fruit of their labor with prosperity. In 2004, Kwabena Osei Bonsu, the director of the Celestial Needy Children's Program in Ghana, shifted his emphasis to global warming and maleria prevention. Celestial Enterprises also shifted its focus to establishing grief ministries and quilting initiatives in the United States. However, the quilting enterprises continued under his supervision. Recently, Mr. Bonsu and Ms. Childs have discussed resuming our afficiation to help empower and raise the standard of living of youth and young women in Ghana. "And I am certain that God, who began the good work within you, will continue his work ubtil it is finally finished on the day when Christ Jesus returns" Philippians 1:6 (NLT). "Early in 2005, the Lord called me to "go forth" and work for the liberation of those affected and infected with the HIV/AIDS epidemic in Africa. At first, I was apprehensive about answering the "call." How could I go to Africa? And what could I do there to aid in the struggle against this pandemic? Then I thought of the Redeeming Life Grief Ministry created to help those suffering from loss and grief. Perhaps, somehow we could offer the orphans and women compassion, caring and comfort. I was convicted to go and talk with women suffering from the affects of HIV/AIDS in Africa about their struggles and then write their testimonies as a way for them to share their stories and bring a sense of humaness to the disease. Though at the time I had no answer to,"How will I go to Africa?" "How will I meet the women to interview?'" My answer to the Lord was, "Yes, I will go, send me!" 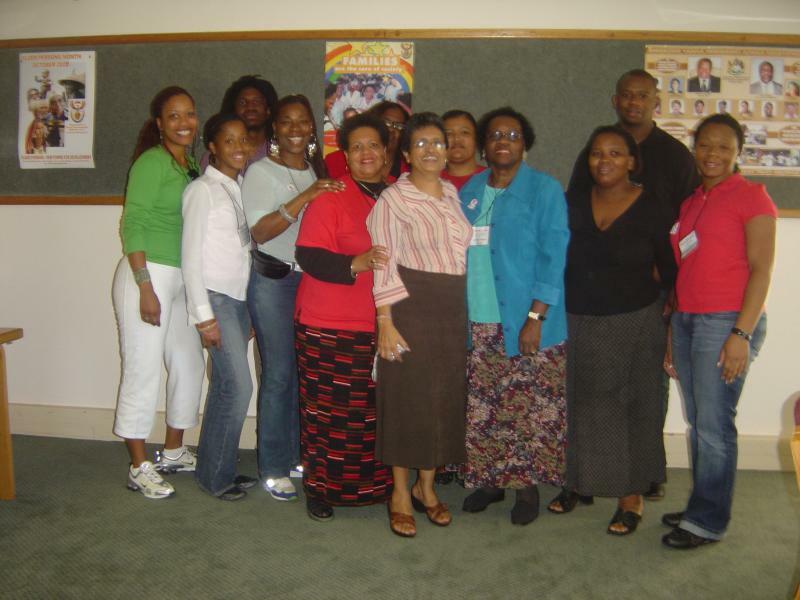 Through God's Divine Providence, I got a call from my friend, Dr. Shirley Jones, a social work professor, who was taking a group of students and faculty (at the time I was an adjunct professsor at Winston-Salem State University) to South Africa in July, 2006. 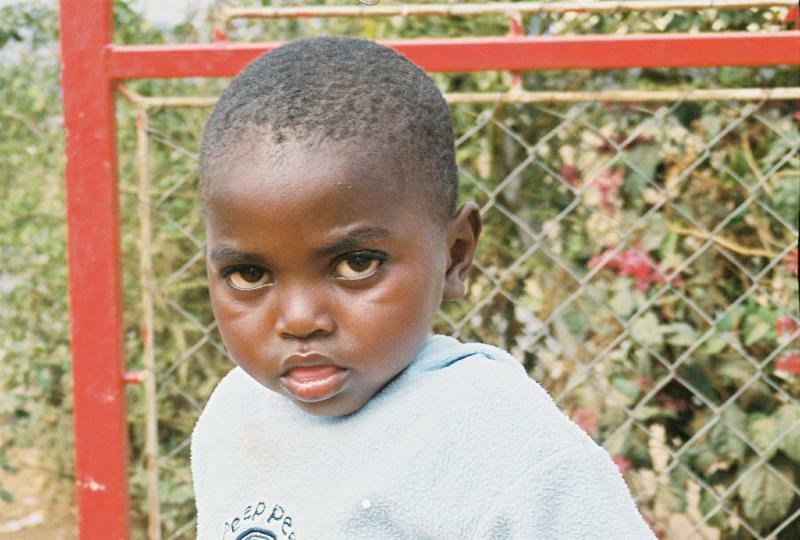 Part of the goal was to bring supplies to HIV/AIDS orphans. God never gives you a vision without provision. A way was made for me to go through financial donations, fund-raising and use of my own funds. I quilted several quilts and collected over 50 that were donated by women from Savannah, GA, Rincon, GA, Winston-Salem, NC and Albany, New York to cover and provide comfort for the orphans against the winter coldness. 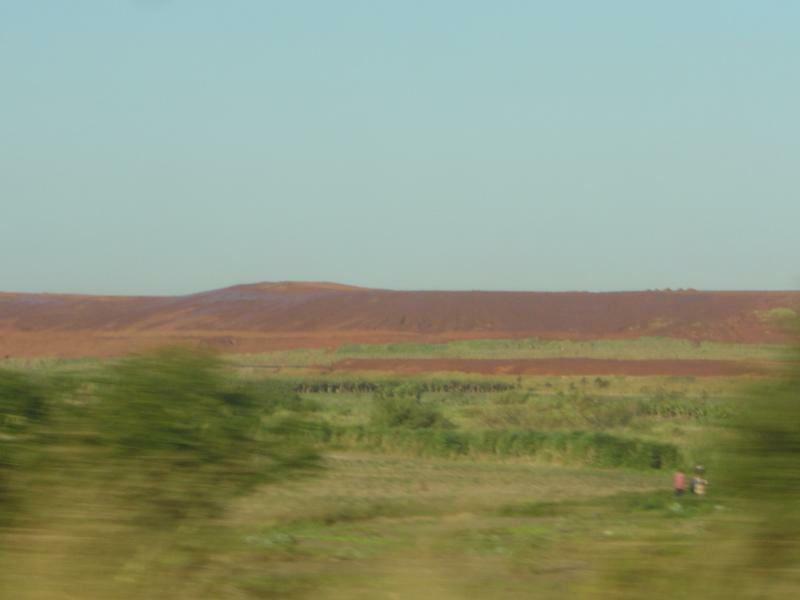 While in South Africa, a partnership was formed with the Empangeni Methodist Church in Zululand, South Africa. 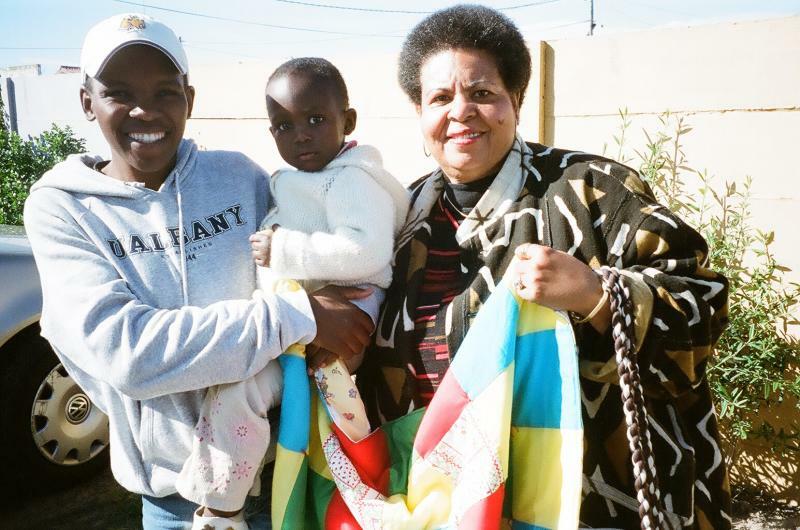 Quilts and chool supplies were donated to the orphans there, as well as to orphans at GiGi's Place Day School in the Monarch of Swaziland and Sakhumzi Children's Care Center in Cape Town, South Africa. 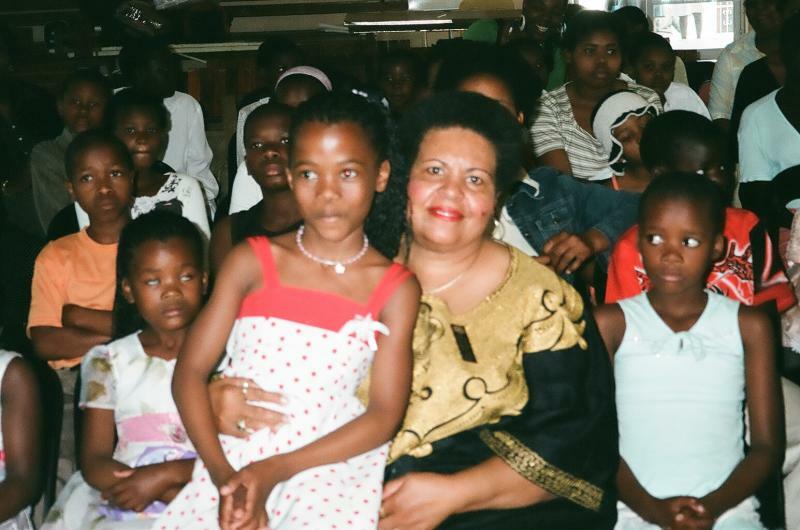 While in South Africa, I was able to talk with numerous women and orphans who shared their stories. God is awesome and can make a "way out of no way!" During my two weeks in South Africa, I became even more committed to continue to help the orphans and fight against the spread of HIV/AIDS in the U.S. as well as Africa." Mariah Landrum Childs, CEO, Celestial Enterprises Unlimited, Inc. See "Voices in the Wilderness" Quilt of Hope Exhibit and Their Stories Theatrical Production in the Expressions page. In July, 2009, Rebecca Childs, an Executive Board Member of Celestial Enterprises Unlimited, Inc. and the CEO of S.O.S. 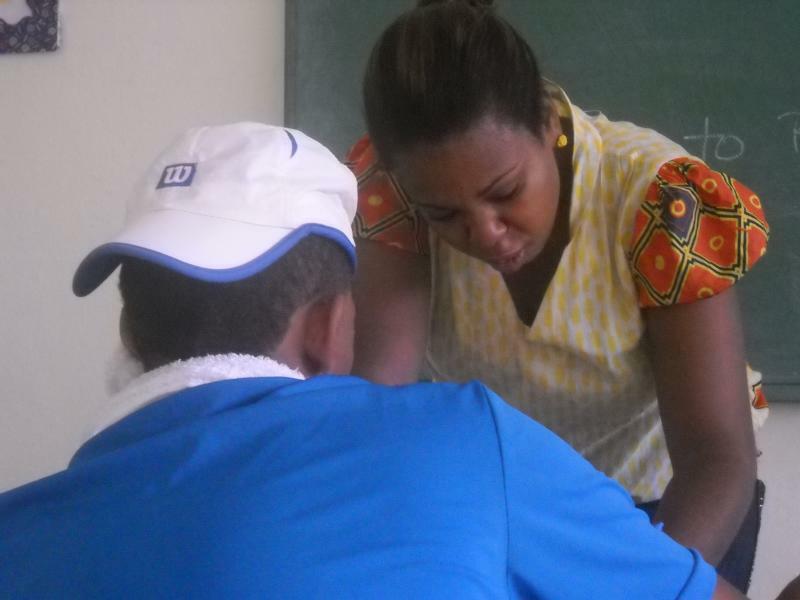 Youth Centers Inc., a non-profit organization based in the United States to empower youth through mentorship and entrepreneurship, relocated to the Dominican Republic. She stepped out "in faith" and answered the "mission call" to go and work with youth in Santo Domingo as an educator and Christian role model. God well equipped Rebecca for this mission through her study of Spanish during high school and her ability to speak Spanish fluently; her maturity in the Word and its application, and her desire to win the lost to Christ. 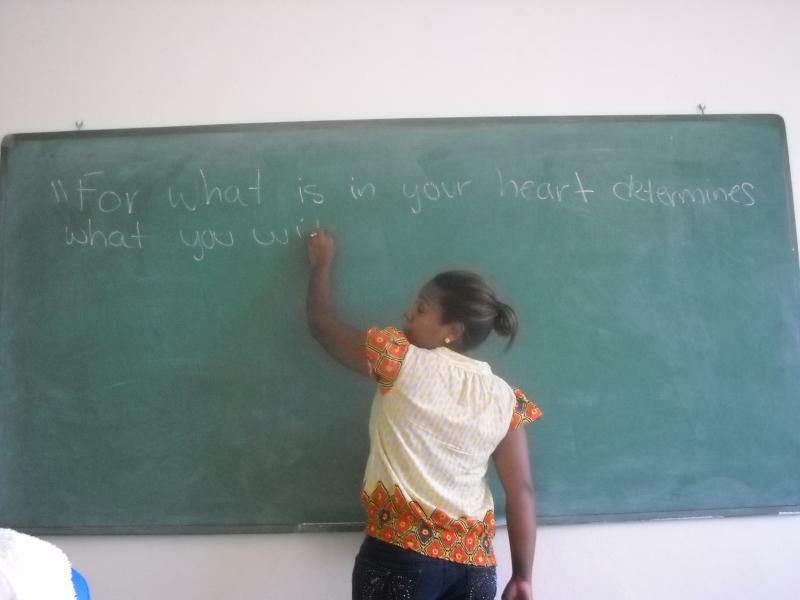 She is determined to "let her light shine" and be "an agent of change" in the Dominican Republic. Rebecca Childs full of faith, hope and "great expectations" for her life in the Dominican Republic. After a three week visit to Santo Domingo in July, CEO of Celestial Enterprises Unlimited, Inc., Mariah Childs, has reaffirmed the commitment of the organization to continue to sponsor Rebecca Childs, as a missionary appointed by God to go to Santo Domingo as a beacon of Godly light to “spread the gospel” and to exemplify a woman of Godly character in all her affairs. Ms. Childs models through her lifestyle how to live holy in the midst of a nation that openly accepts as cultural norms fornication, adultery and common law marriage over holy matrimony sanctioned by God. Though her stand for Christ and holiness have caused her to suffer personal isolation and rejection, she remains true to her calling and commitment to Christ and spreads the Gospel by her actions as well as her words. Celestial Enterprises Unlimited, Inc. is honored to continue providing financial and other resources to assist with the upkeep of Ms. Childs during her work in the Dominican Republic. 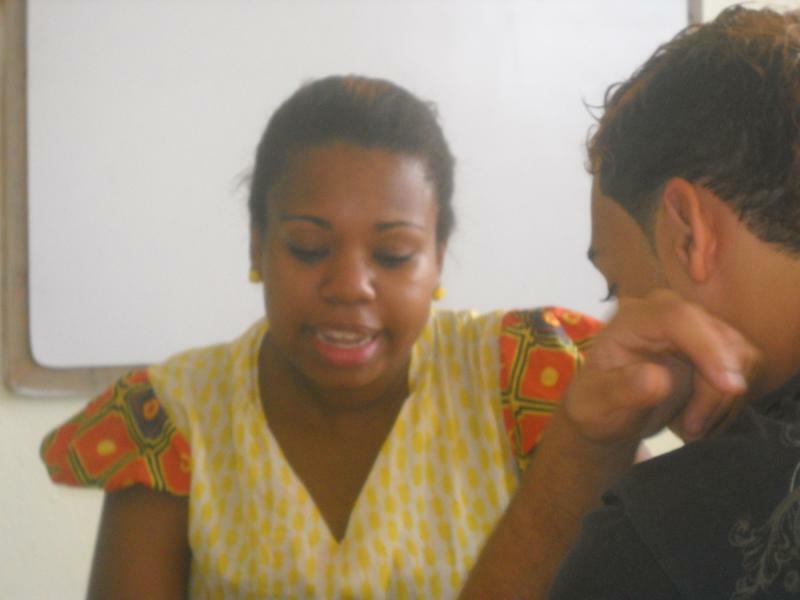 Ms. Childs has taught Middle and High School students English and increased their awareness of global issues as well as the importance of being abstinent until holy matrimony. She has demonstrated by her example that it is possible, even in 2010, for a young woman to maintain her virtue. Her students have applauded her convictions and have deemed her honorable for her stance and being a living witness before them. Many have expressed a desire to follow her example. 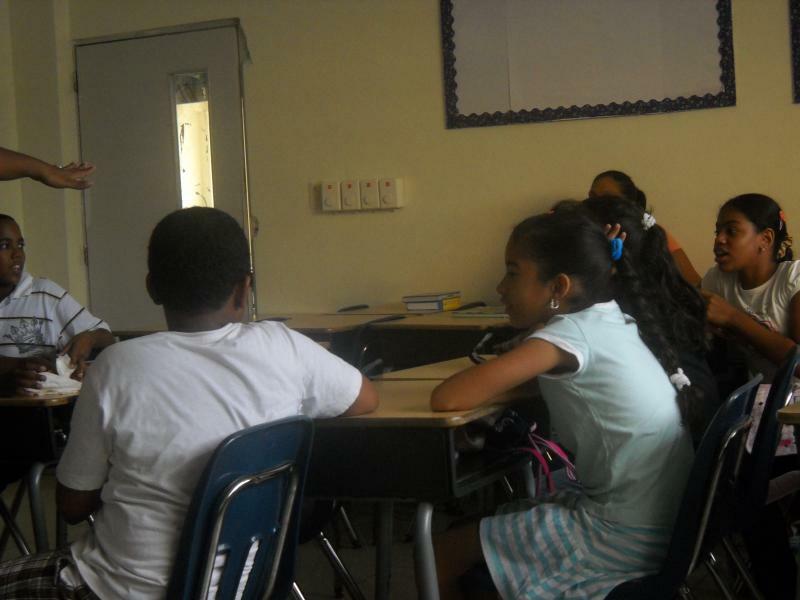 Ms. Childs has also developed an afterschool program, Nexito, that will be housed in a local private school, LAMS, in Santo Domingo. As the Executive Director and CEO of SOS Youth Centers, Inc., a faith based 501 (c) (3) non profit organization with its main headquarters in Georgia, U.S.A., she will implement the first international sector of the organization. The organization’s mission is to empower high school youth to excel academically, professionally, as well as acquiring entrepreneurship skills and linkages to business opportunities that will help to prepare them to succeed in the global marketplace. Ms. Childs has demonstrated tenacity, courage and great faith by accepting God’s “call” at 23 years of age to “go forth into the world” on her own depending and believing in Him and His faithfulness to open doors of opportunity and to provide for all of her needs according to His riches in glory through Christ Jesus. Celestial Enterprises will be working along with Ms. Childs to obtain sponsorship and funding for the program in Santo Domingo and future programs that will be implemented in the U.S.A. and other nations. 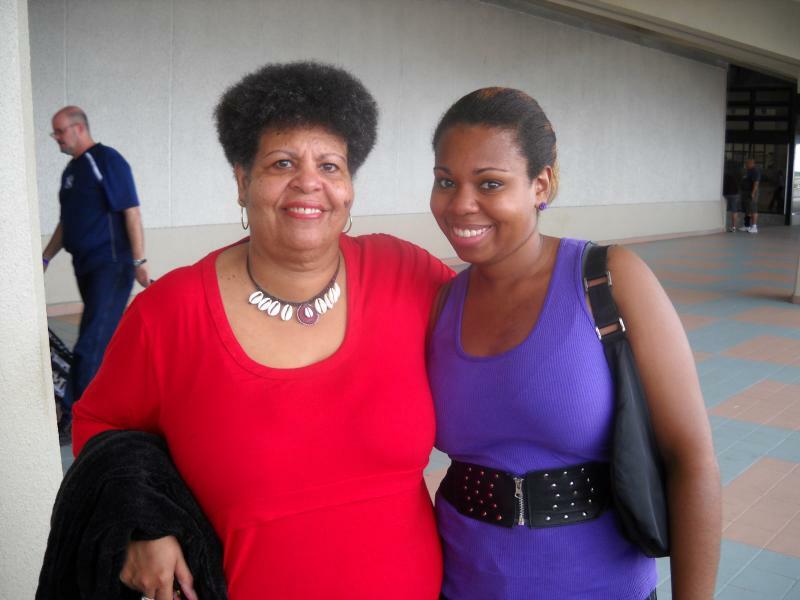 Mariah Childs and Rebecca Childs at the airport in Santo Domingo, Dominican Republic. "I know the plans I have for you...plans to prosper you and give you hope and a future," says the Lord in Jeremiah 11:29. ARE YOU CALLED TO THE MISSION FIELD? 1. Immerse yourself in the Word of God. All of it! Not just a few favorite phrases. He often leads by opening and closing doors. Church elders, pastor, a mentor, close Christian friends. 5. Pray asking the Lord to reveal to you His Divine plan and will for your life daily until to "know that you know" He has given you the answer. "Keep asking, and you will receive what you ask for. Keep seeking, and you will find. Keep on knocking and the door will be opened to you"
I 20006 Study-Tour Group with students and S.A. community workers in South Africa. Ms. Childs is 4th from left. Dr. Jones is 6th from the left. 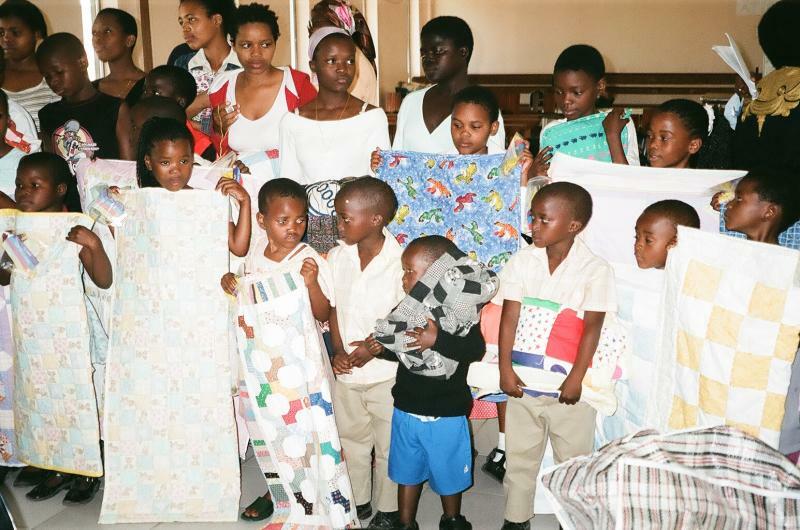 Landscape in Zululand, South Africa Elder Childs with AIDS orphans in Zululand, South Africa HIV/AIDS orphans with donated quilts at Empangeni Methodist Church, Zululand, South Africa. 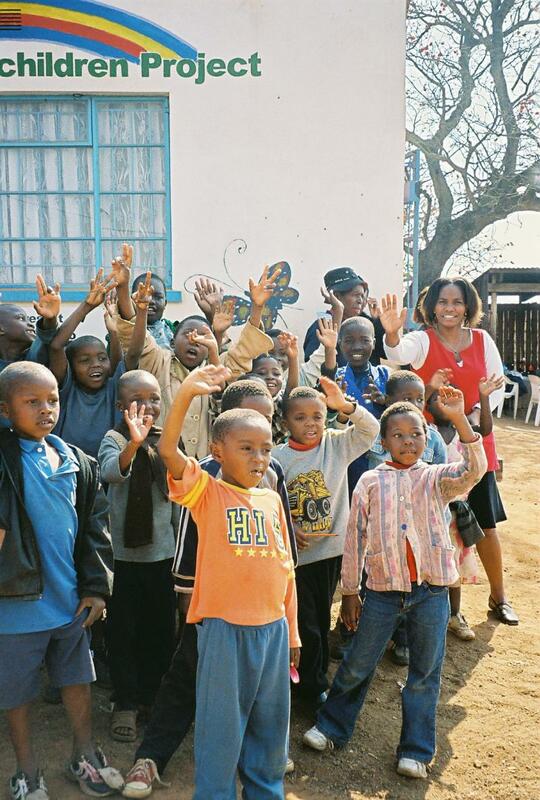 Orphans at GiGi's Place Day School in the Monarch of Swaziland, South Africa. Orphan at GiGi's Day School. 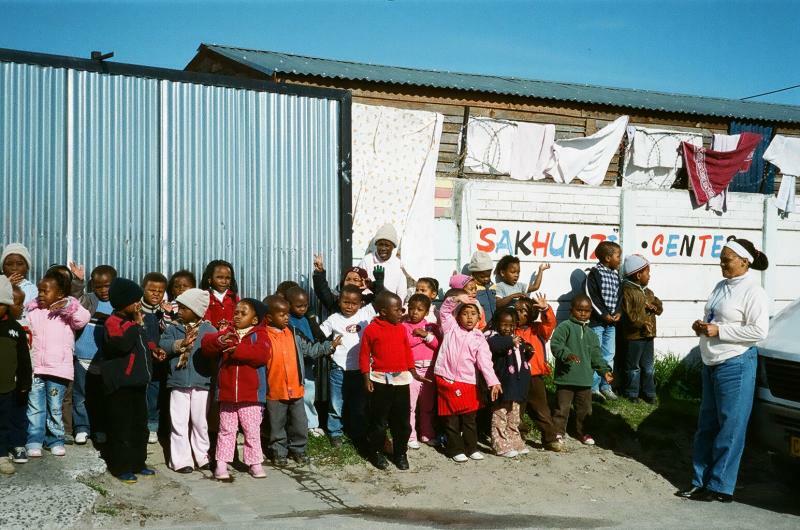 Orphans at Sakhumzi Children's Care Center in Cape Town, South Africa. Ms. Childs tests students' English pronounciation by conducting a Pronounciation "Bee." Minister Childs with a CURE MOM and her daughter who has undergone surgery on her leg that was physically deformed since her birth. Minister Childs alongside Elba Lopez, CURE Spiritual Director in Santo Domingo "planning for the future initiatives" MAY 24, 2013. Minister Childs preaching a WORD of encouragement to CURE MOMS MAY 17, 2013 with her faithful Spanish translator. CURE MOMS and volunteers from Michigan, USA attentatively listening to Minister Childs preach. A collaborative endeavor, "SANCTIFIED SISTAS TROPICAL DOMINICAN MISSION/RETREAT," was sponsored by Elba Lopez, Spiritual Director of CURE HOSPITAL INTERNATIONAL and Inglesia and Buenas Neuvas in Santo Domingo, DR (Above right) and Evangelist, Mariah Childs, Founder and C. E.O. of Celestial Enterprises Unlimited, Inc., based in Lithonia, Georgia, U.S.A.(Above left) in Santo Domingo, March 26-31, 2014. The purpose of the RETREAT was to give "SANCTIFIED SISTAS" from the DR and the U.S.A. a means of having "A Cultural Exchange Experience." It gave atendees an opportunity to fellowhip and share ministry experiences with each other and to be "Renewed, Revived and Restored" beside the beautiful still waters of the Island of Dominica. Rejeuvenated, they departed ready to carry on the ministry work that God has ordained for each of them.